The world can be a seriously strange place sometimes. If you’re interested in the weird or unusual, here are some weird phenomena you should be adding to your travel bucket list. 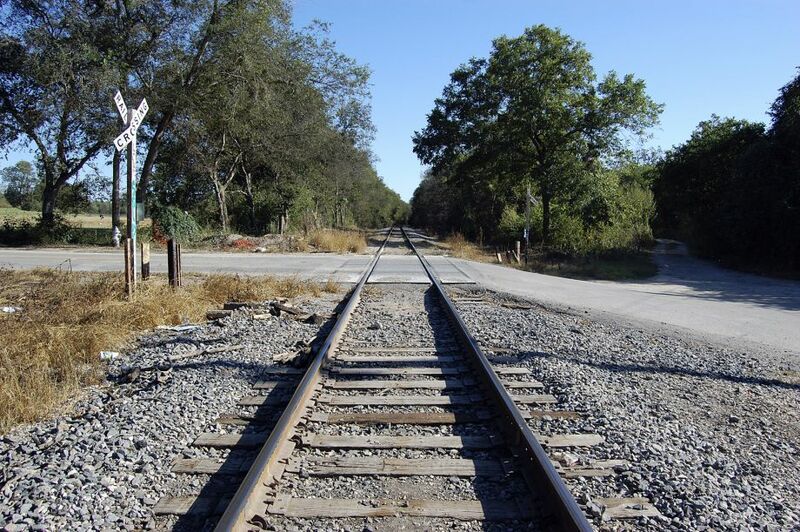 These ordinary-looking train tracks are known as the ghost tracks because of the odd phenomenon that happens when cars park on the tracks. It is said that once a school bus got stuck on the tracks and got hit by a train, killing all the children. According to local legend, anyone who stalls, stops or parks on the tracks will have their car pushed off by the ghosts of the dead children. Adding to the creepiness factor, people have reported sprinkling baby powder on their car, only to have found handprints once they’ve cleared the tracks. 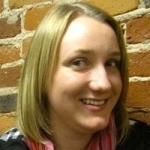 Check out this video to see it for yourself. 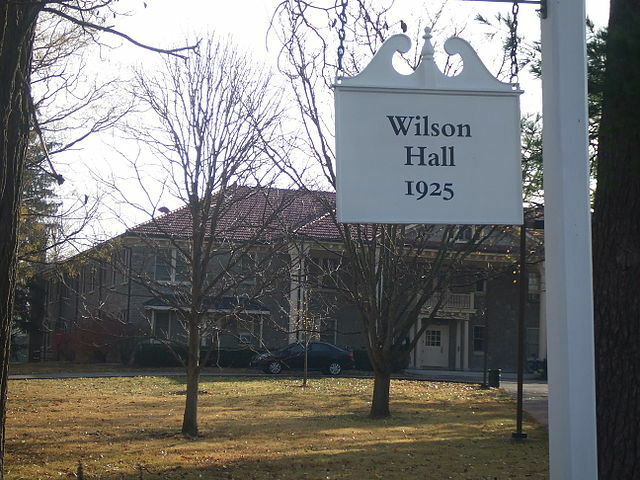 Inside Ohio University’s Wilson Hall lies a room that has been boarded up and closed off because of reports of paranormal activity. Legend has it that university officials deemed room 428 inhabitable after students reported objects flying off shelves and smashing into walls, as well as doors opening and closing. There have been sightings of the ghost of a female student who died tragically after using the energy of the room to practice astral projection, a method of separating the human spirit from one’s body. In July 1970 a US military base in Utah launched a radioactive test missile that went way off course and crashed in the Mexican desert. It is said that no radio, TV, short wave, microwave or satellite signals can get into the zone around the area where the missile hit. Strange orbs, lights, and UFOS have been spotted in the zone, as well as reports of three blond aliens. When conditions are just right, ocean phytoplankton spread like wildfire, creating a thick, visible layer near the surface. 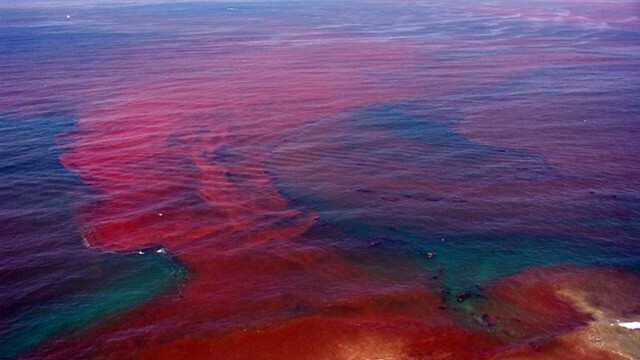 These algae blooms, otherwise known as “red tide”, look disgusting during the day, but in many parts of California, the red tide at night looks absolutely out of this world. Hundreds of ice chimneys, reaching up to 60 feet, climb up to the skies of Antarctica. 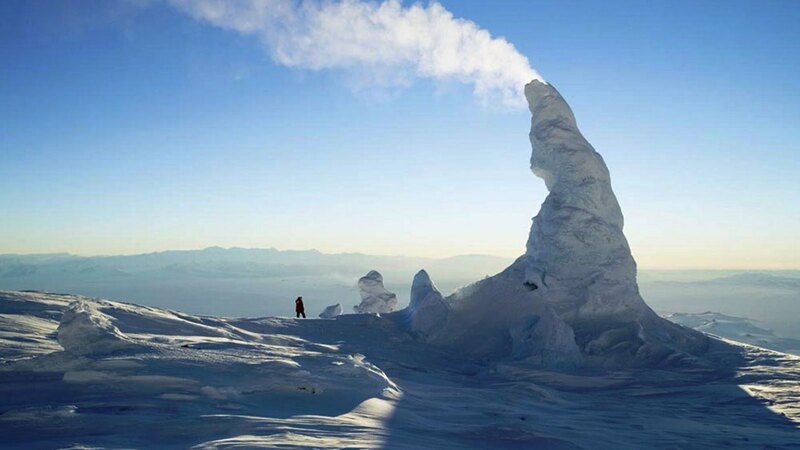 These tall frozen towers called ice fumaroles are caused by the contrasting hot and cold environment of the continent. Catatumbo Lightning found is an electrified thunderstorm that occurs in the same place in northern Venezuela night after night for almost half the year. 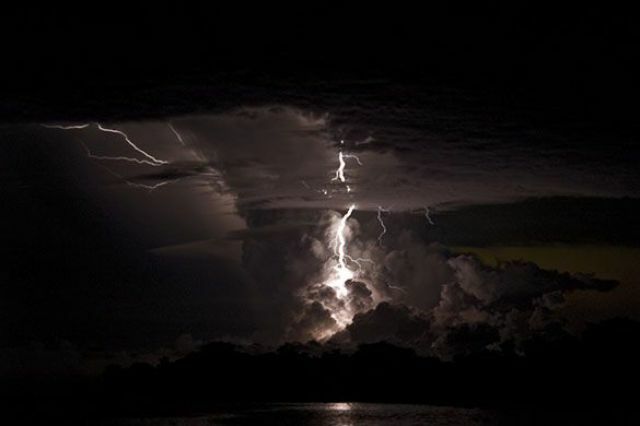 Catatumbo Lightning is produced by thunderstorm complexes formed by the diurnal wind patterns. This is created by the mountains surrounding the area. Unusual light glows and drifts throughout the sky over the valley of Hessdalen, Norway. While for many years it was considered an unidentified flying object, scientists have discovered that the rocks in the valley are rich in zinc and iron on one side of the valley and copper on the other. 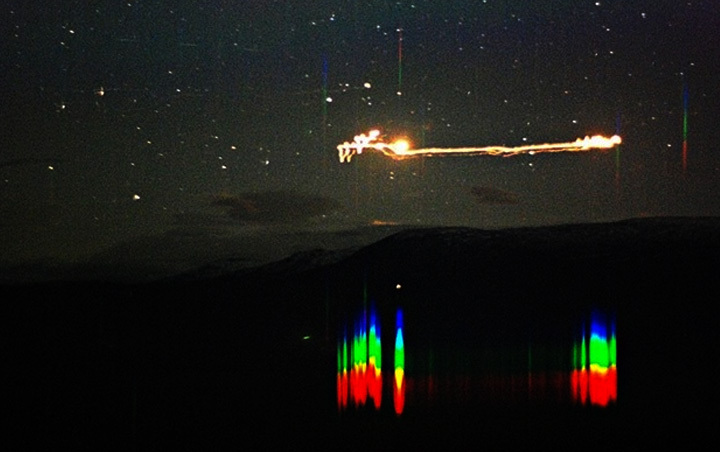 This discovery has led to a theory that the lights are lit up by the electricity flowing through the rocks and the electromagnetic field lines cause them to move around. 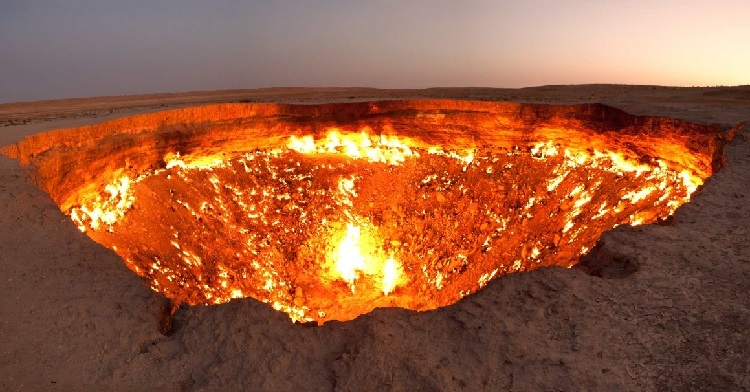 This gas crater in the middle of the Karakum Desert collapsed in 1971 and has been burning ever since. 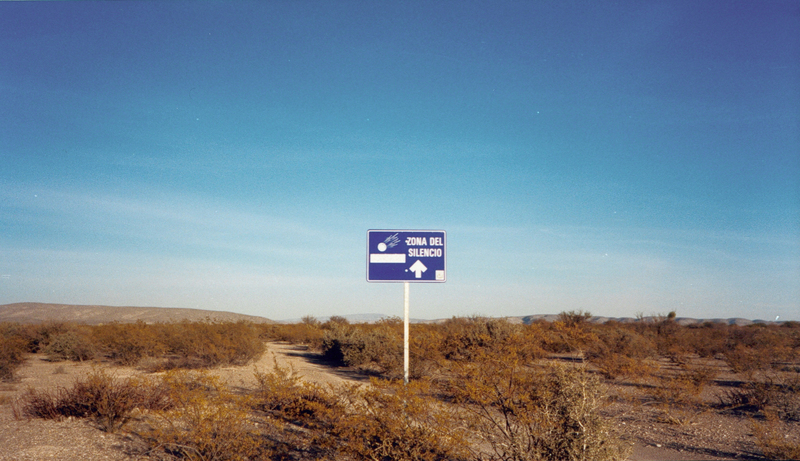 Originally a natural gas field, the site was identified by Soviet engineers and was thought to be a substantial oil field site. The engineers set up a drilling rig to access the believed oil supply. When they found gas instead, the ground beneath the rig collapsed into a wide crater and the site was abandoned. 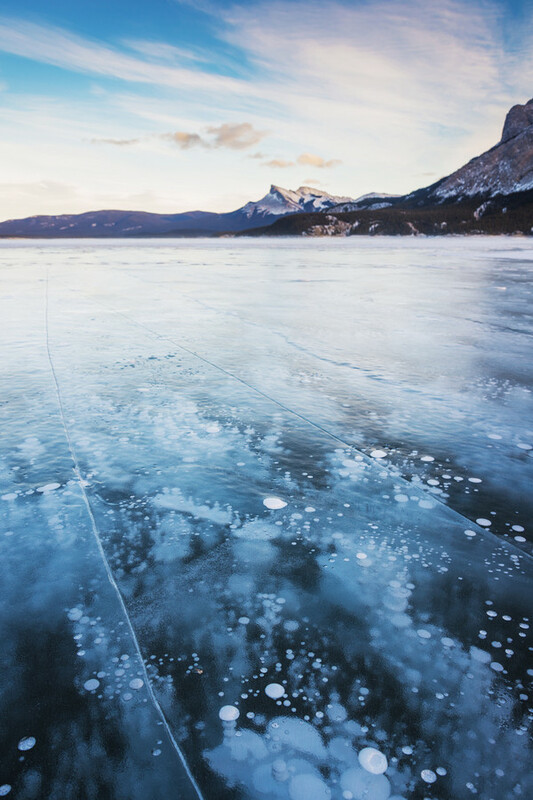 These gorgeous white bubbles, trapped just under the frozen surface of Lake Abraham in the foothills of the Rocky Mountains, are in fact incredibly deadly. The bubbles found in this manmade reservoir are formed when the plants on the lakebed release methane gas. The gas freezes as it reaches the cold lake’s surface, with further bubbles stacking up above the frozen surface. These crop circle-like circles found in Namibia has prompted many local legends that they are created by gods and even UFOs. 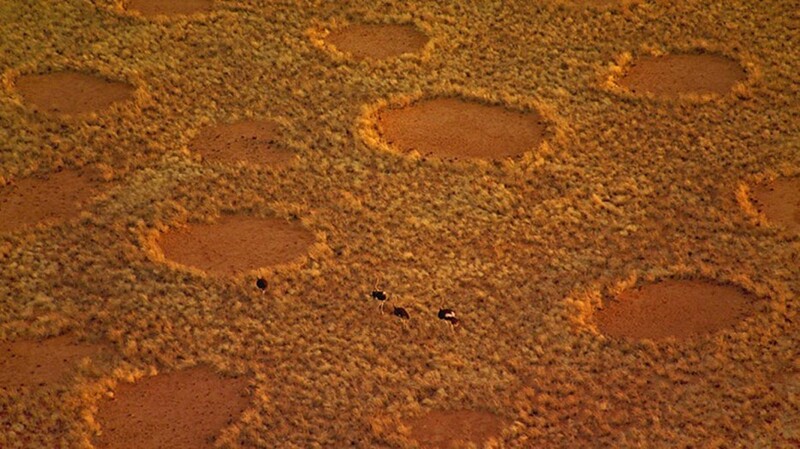 While scientists have not found an exact reason for these “Fairy Circles,” the most popular theory seems to be that they’re caused by a flood of termites. However, there are still rumours that these strange circles were caused by things such as evil gods, spirits and even dragons.